Nearly sixty years later, having enjoyed a long, successful career as an author, Alice is now eighty years old and living in London. Theo’s case has never been solved, though Alice still harbors a suspicion as to the culprit. Miles away, Sadie Sparrow, a young detective in the London police force, is staying at her grandfather’s house in Cornwall. While out walking one day, she stumbles upon the old estate—now crumbling and covered with vines, clearly abandoned long ago. Her curiosity is sparked, setting off a series of events that will bring her and Alice together and reveal shocking truths about a past long gone...yet more present than ever. A lush, atmospheric tale of intertwined destinies, this latest novel from a masterful storyteller is a spellbinding and satisfying read. Kate Morton's books have been published in 31 countries. 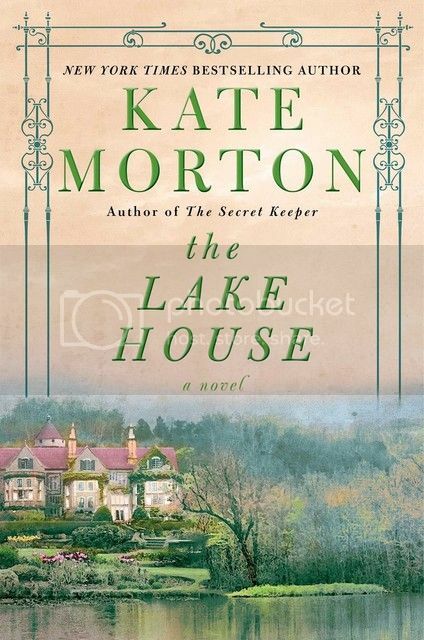 The House at Riverton was a Sunday Times #1 bestseller in the UK in 2007 and a New York Times bestseller in 2008. The Shifting Fog (now The House at Riverton) won General Fiction Book of the Year at the 2007 Australian Book Industry Awards. Was nominated for Most Popular Book at the British Book Awards in 2008. Her second book, The Forgotten Garden, was a #1 bestseller in Australia and a Sunday Times #1 bestseller in the UK in 2008. 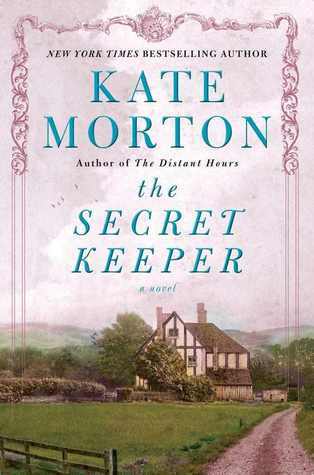 I have yet to make it through all of Kate Morton’s books but there’s something so appealing about her stories that I can’t help but love. Dual timelines are some of my favorite types of stories and she does them oh so well. What are you waiting on this Wednesday? Leave me a link to your post and I’ll be sure to stop by! When the police interviewed her mother, Laurel admits to seeing everything. Her mother didn’t do anything wrong, that the stranger had attacked her and she had no choice but to do what she had done. Nothing more was ever said about the man’s death and Laurel never asked but she the memories of that day never left her. Fifty years later, Laurel’s mother has been hospitalized so she returns to her childhood home to be with her. Returning only revives the memories but this time she’s determined to finally find the answers to the mystery that has plagued her for almost her entire life. The story flashes back and forth between 1940 and present day. As Laurel begins uncovering answers to her mother’s past, the truth begins to unfold. There is so much that can be said but shouldn’t for fear of ruining the story. Definitely one that truly needs to be experienced to be fully appreciated. Suffice it to say, it was an incredible mystery with intriguing and amazingly well-developed characters; a definite treat. The immensity of the revelation at the end truly took my breath away. That moment when all is revealed and all the unanswered questions are finally given resolution and you finally see it all in its finality? Oh, the feelings! This book made me feel so much and it was intense, amazing, bittersweet and so poignant. Reading something with such intricate detailing, intersecting storylines that blended beautifully, and an ending I never could have possibly imagined… this was a real gem. I won’t be forgetting this story for a long time to come.